Through a series of questions and answers we asked EAPA-SA Board member, Dr Pravesh Bhoodram to provide members with insight into his role on the Board, holding the Education portfolio, and his goals pertaining to EAPA-SA’s plans and key focus areas over the next five years as a leading industry association. Pravesh has served as an EAPA-SA Board member since 1998, holding a variety of portfolio’s which includes serving two terms as President. In 2001, he became the first South African to receive a Special Recognition Award from EAPA International for his contribution to the profession in South Africa and received a second EAPA International award for contributing to the wellness field in South Africa by leading the most progressive Chapter among 23 countries. He was appointed on EAPA International Global task team in 2004. 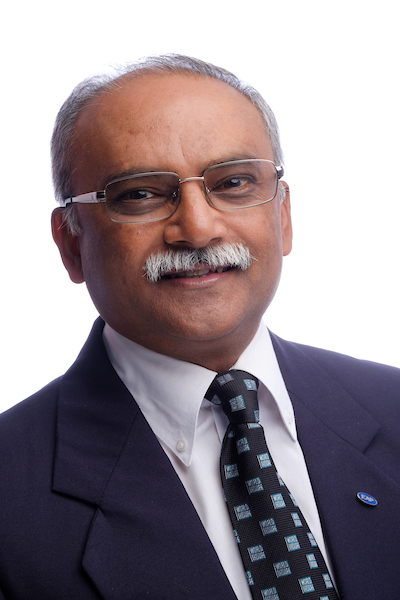 Pravesh is a pioneer in the EAP field in the Public Service sector in South Africa, having assisted 23 National Departments in implementing an EAP. As the Director of Sport and Recreation of the Department of Correctional Services, he has led the DCS team in international sporting competitions. He served a second term as a Community Representative on the Allied Health Professions Council of South Africa where he has chaired the professional Board for Ayurveda, Chinese Medicine, Unani Tibb and Acupuncture as well as the strategic and finance committees. Q: What does your role as head of the Education portfolio entail? There are three facets to the EAPA-SA Education portfolio’s goals over the next three to five year term. Firstly, in the next two months, there will be a CPD (Continuous Development Points) allocation system put in place for EAPA-SA members. In addition to granting the Association’s members the renewal of their annual membership, based on their CDP compliance, the Association will now be awarding CDP to members who attend EAPA-SA presentations. The criteria of this CDP allocation system has been benchmarked against standards set by other Associations and will work towards legitimising the professional standing of the Association. Secondly, since SAQA has given EAPA-SA the green light to award Recognition of Prior Learning (RPL) some progress has already been made in EAPA-SA handing out RPL credits to member-applicants across four designations, namely EAP Coordinator, EAP Practitioner, EAP Professional and EAP Specialist. Thirdly, EAPA-SA is working toward the institution of Board exams across the four SAQA designations – and in line with their requirements. This is estimated to reach fruition by end 2020/early 2021. As the EAPA-SA representative of The Institute of Independent Board of Directors of South Africa (IODSA) I have had discussions and am looking to emulate their recommended best practice in the Association’s constitution of the EAP Board exams. One of the most important developments I would like to see achieved over the next three to five years is for EAPA-SA to be registered as a statutory body. Once statutory status has been achieved I believe it is important to turn our attention to growing our membership by three- or fourfold. Among a variety of good reasons, I believe that the annual income generated from a far greater number of memberships will provide a more sustainable financial model for the Association. In other developments, one of my projects has been to source premises for the EAPA-SA Board. We have purchased offices in a business complex in Silver Lakes, the construction of which will be complete by mid to end 2019.